A record breaking undersea dive off Bermuda’s Nonsuch Island in the 1930s served as inspiration for a special performance by a Philharmonic Orchestra in the UK. 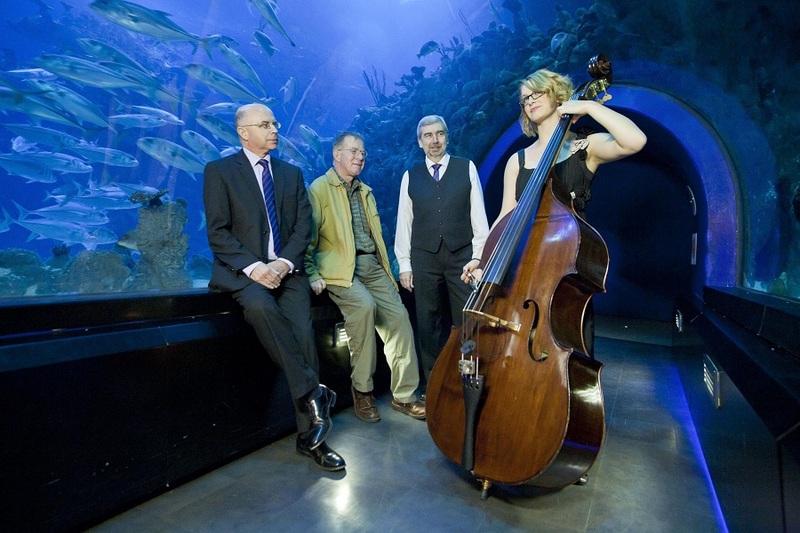 The Hull Philharmonic Orchestra teamed up with composer, Nigel Morgan and librettist Phil Legard who together created “Sounding the Deep”, a 20 minute piece for full symphony orchestra and bass voice. Inspired by the history of the exploration of the ocean depths, it also celebrated the 10th anniversary of Hull’s landmark submarium, The Deep. The composition tells the story of such exploration in the words of a remarkable zoologist and explorer, American Dr William Beebe [1877 – 1962], who along with Otis Barton became the first men to descend ‘a half mile down’. 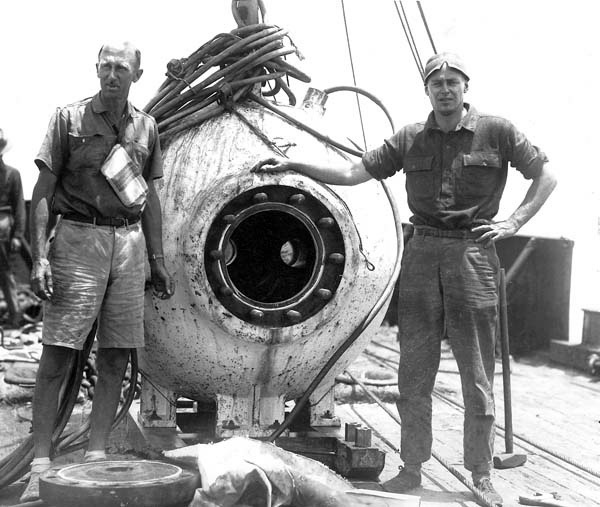 On August 15, 1934, Dr. Beebe and Barton descended in their bathysphere 3,028 feet beneath the ocean surface off the coast of Bermuda. This was some half a mile deep, and set a depth record that remained unbroken for 15 years. The bathysphere was a hollow steel ball about five feet in diameter, with walls that measured one and a half feet thick and were made of a single casting of the finest open-hearth steel. The entrance to the vessel was so small, Beebe and Barton had to squeeze their way into and out of it headfirst. They were sealed inside using a ‘door’ put in place by a winch and then hand tightened with large bolts. Dr. Beebe spent years diving off Nonsuch Island, with his living quarters at the Bermuda Biological Station at Ferry Reach [now known as BIOS/Bermuda Institute of Ocean Sciences]. In Bermuda, the pair made more than 30 dives, 16 of them below 525 feet; before Beebe’s and Barton’s dives, 525 feet was the record depth that living explorers had previously attained below water. On September 22, 1932, one of the explorers’ historic bathysphere dives off Nonsuch Island was broadcast by NBC across the United States, with an associated broadcast taking place simultaneously in the United Kingdom thanks to that station’s link with the BBC. In “Sounding the Deep”, Beebe is portrayed by the bass soloist giving one of his celebrated lectures – probably a first for a musical composition. The use of new technology has been a continuous thread in Nigel Morgan’s output, and musicians planned to use it to capture live sounds from maritime research institutions around the world and integrate them with the music. The full programme for the Hull Philharmonic Orchestra’s “Sounding the Deep” is here [PDF].